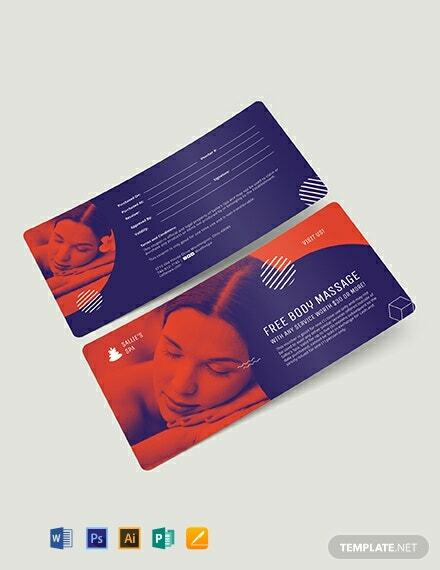 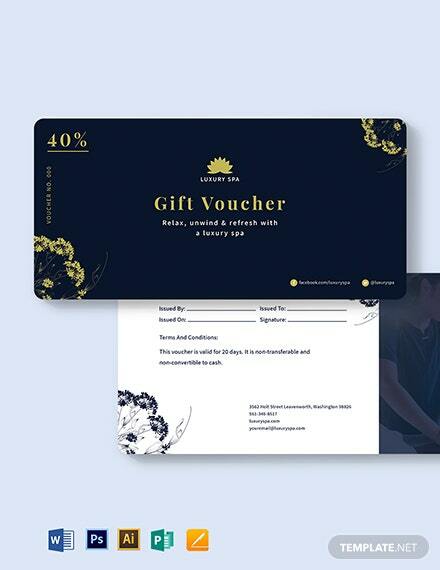 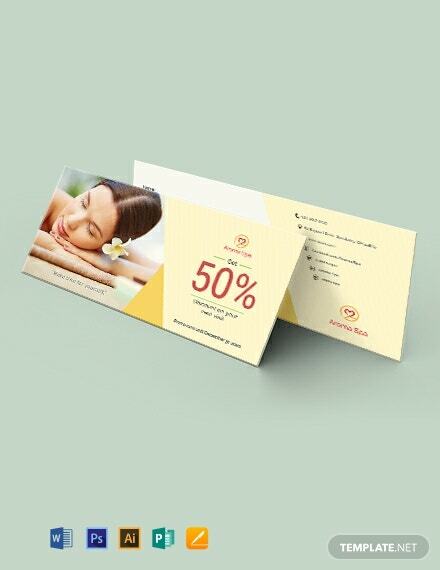 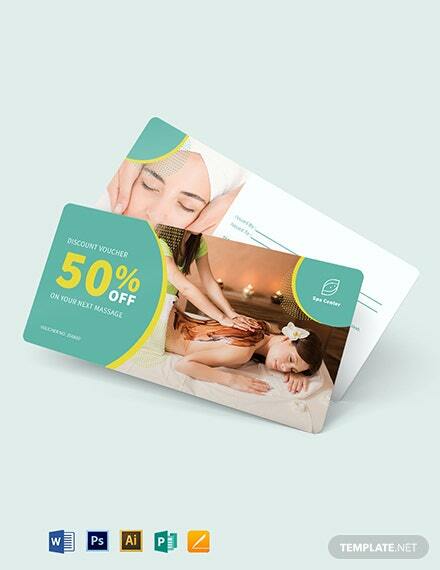 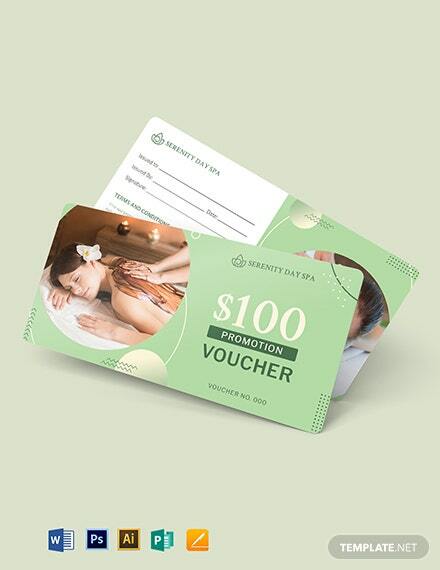 Earn your way to a relaxing session with this spa voucher template. 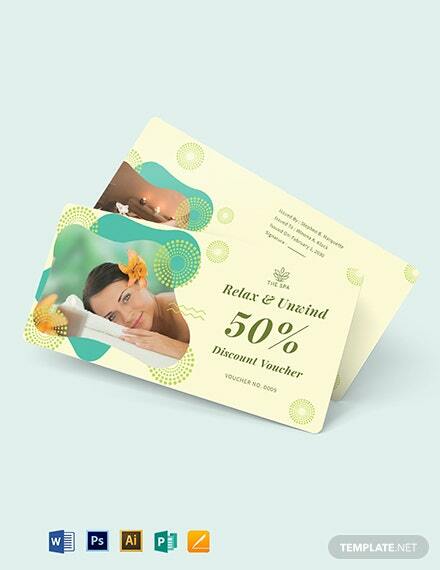 The template has excellent photos and calming colors that can relax the senses. 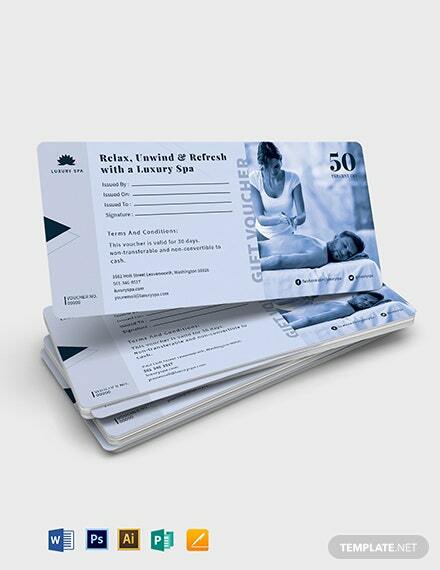 It can also be modified in another way +More depending on the business needs.